Menulog delivers for St James Crabhouse & Kitchen (Hamilton) so you'll be able to track your courier on a map. Louisiana style paella rice with chicken and chorizo pieces, QLD wild prawns, mussels, cooked in a tomato infused broth. Served with grilled corn, creamy cabbage and apple slaw. Louisiana style paella rice cooked with chicken and chorizo pieces, in a tomato infused broth served with additional char grilled lemon pepper chicken breast. Served with grilled corn, creamy cabbage and apple slaw. Tomato infused broth braised lamb shank with truffle or plain mashed potato. Served with a side of grilled corn, creamy cabbage and apple slaw. Thinly sliced flat grilled steak pieces, American cheese sauce, aioli, tomato sauce and Parmesan. Served on a bed of chips. Garlic, five spice dusted and sweet chili dipping sauce. Drizzled with sriracha hot sauce and served with tartare sauce. Half kilo served with your choice of sauce, baguette and choice of side. 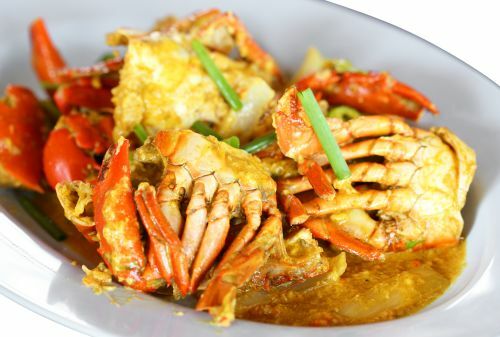 Consume all seafood immediately - Do not refrigerate, reheat and consume leftovers. Half kilo served with creamy cabbage, apple slaw and shoestring fries. Includes original burger, one kilo of buffalo wings, sweet potato, and creamy slaw. Includes Singapore chili crab, half kilo of blue swimmer crab, crispy pork belly croutons, beer batter sidewinder chips, house salad, and baguette. Includes one kilo mussel marinara, crispy pork belly, beer batter sidewinder fries, creamy apple slaw, and baguette. Parmesan and aged Cheddar sauced macaroni with pan seared prawns and mussels. Served with a side of grilled corn, lemon dressed cabbage apple slaw and baguette. Parmesan and aged Cheddar sauced macaroni with lemon pepper char grilled chicken breast. Served with a side of grilled corn, lemon dressed cabbage apple slaw and baguette. Flour dusted, deep fried flounder served with fries, tartare sauce and lemon. With your choice of sauce and dip. Garlic, five spice dusted, and sweet chili dipping sauce. South Australian. One kilo served with choice of broth with baguette, and with a choice of side. Consume all seafood immediately - Do not refrigerate, reheat and consume leftovers. Half kilo served with creamy cabbage, apple slaw and fries. Half chicken, first sous vide for six hours and then char grilled, served with creamy cabbage, apple slaw and fries. Beef patty, American cheese, onions, pickles, mustard, BBQ sauce and aioli. Beef patty, lettuce, tomato, onions, pickles, mustard, tomato sauce and your choice of cheese. Served with fries. Layered char grilled eggplant and cheese with tomato and herb based sauce, served with baguette on the side. With shoestring fries and tomato sauce. Beef patty, American cheese, onions, pickles, mustard, aioli and BBQ sauce. Served with fries. Mixed lettuce, tomato, cucumber, feta, dried fruit, lemon dressing and seeds. With pine nuts and your choice of dressing.